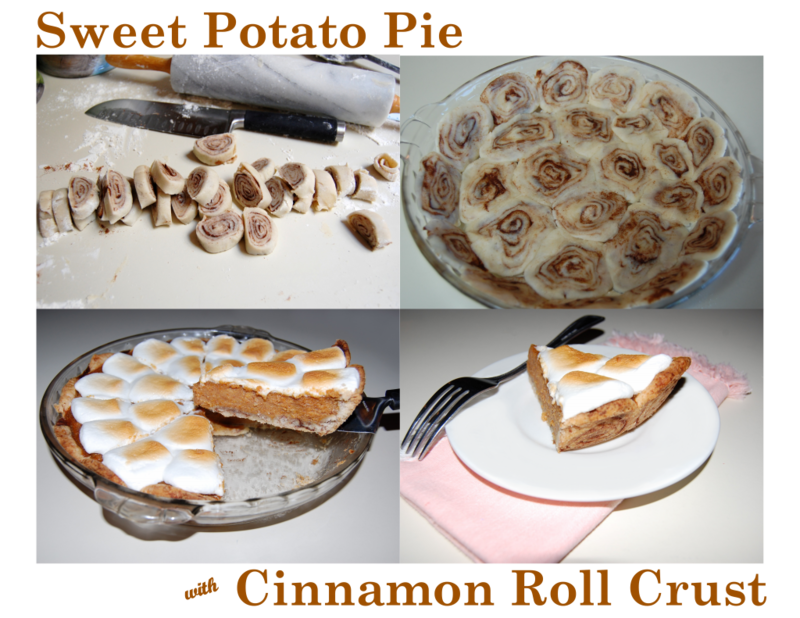 My favorite way to eat this pie is chilled with homemade whipped cream, but you can also cover it with toasted marshmallows, either way it's absolutely delicious! Preheat oven to 400 degrees. Prepare Papa's Pie Crust recipe according to directions. Roll out one pie disk onto a lightly floured surface into a 12-inch circle. Brush with melted butter and sprinkle evenly with 2 teaspoons of cinnamon. Roll up tightly and slice into 1/2-inch rounds, like miniature cinnamon rolls. Arrange and press miniature cinnamon rolls, flat side down, evenly into the bottom and up the sides of a 9-inch glass pie plate, making sure there are no spaces between the rolls. Set aside. In a large bowl, whisk together mashed sweet potato, brown sugar, heavy cream, half and half, eggs, vanilla, cinnamon, cloves and salt. Using a whisk or switching to a hand mixer, whisk ingredients until smooth and thoroughly combined. Brush pie crust lightly with egg white/water mixture. Then, pour sweet potato mixture carefully on top of pie crust. Bake for about 40 minutes, or until filling has puffed up slightly and a toothpick inserted in the center comes out clean. Remove pie from oven and heat broiler. 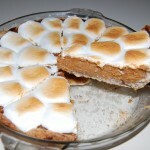 Top pie with halved marshmallows and place under broiler until marshmallows are a golden brown, about 1 minute. Cool pie on a cooling rack before serving. Cook's Note: Place 16 sliced marshmallows around the outside edge of the pie, follow by 8 slices in the middle then 1 in the center OR simply top with whipped cream when pie is cooled, if desired.